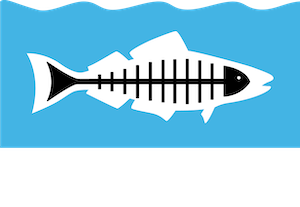 To present an alternative to the Discovery Channel’s Shark Week (and cult TV movies like Sharknado), Heal the Bay staff write about the marine animals they love so much. The general public has been fed terrifying misconceptions about these creatures, and our mission is to raise awareness about the unique and important role sharks play in our local ocean ecosystem. For most people the world over, the thought of a solitary fin slicing through the waves in the open ocean is absolutely terrifying. The fact is, you’re more likely to get bit by another person than you are to get bit by a shark. 1,587 people were bit by other people in New York City alone in one year. Shark bites that same year in the US? 13. On average the number of fatalities due to shark bites worldwide ranges between four and six per year. The yearly risk in the U.S. of dying from a shark bite is roughly 1 in 250 million. In contrast, the yearly risk of dying from a vending machine accident is roughly 1 in 112 million. Vending machines are roughly twice as deadly as sharks. How many people do you think would buy tickets to see Attack of the 50 foot Vending Machine? So why does this fear of sharks pervade our collective nightmares? We irrationally fixate on extremely unlikely threats, like shark attacks or the zombie apocalypse (which I am personally preparing for), while much more likely and high risk threats like heart disease, car accidents, or even the flu don’t occupy our minds and silver screens in quite the same way. I guess it’s just not as fun to be afraid of the flu as it is to imagine sharks as crazed, bloodthirsty killers lying in wait under the waves, ready to pull you under, or in some cases, dropping down onto your head from the sky as it’s ejected from a tornado in downtown L.A.
We fear sharks because we don’t know them or understand them. We haven’t had positive experiences with sharks and only know the way the media and popular culture has portrayed them – as evil killing machines. This mentality is to blame in part for the ever-increasing slaughter of sharks worldwide, bringing some species to the brink of extinction. Your chances of even seeing a shark, much less getting bitten by one, are so slim, that to encounter one in the wild is to be incredibly lucky. During my divemaster training in Utila, Honduras our boat full of fresh-faced dive students had just tied off at a dive spot off the north shore of the island. A few students hopped in the water to relieve themselves, and suddenly one of them yelled “SHARK!” What happened next was comedic. The students who were in the water started swimming frantically back to the boat and clambered aboard as the entire crew of the dive shop jumped overboard like lemmings, falling over each other and practically trampling their students in order to get in the water and catch a glimpse of the shark. I was one of the first in the water and screamed like a schoolgirl into my snorkel at the sight of the beautiful grey shape that gracefully glided out of sight. Once I learned about sharks and began to understand them I realized there is nothing to fear. I began to see how beautiful they are, how important their existence is to the fragile ocean ecosystem, and how threatened their existence on this planet really is. Their plight is dire; between 20 and 100 million sharks die every year at the hands of humans, and efforts to protect them tend to fall on deaf ears. People are far more likely to want to protect the cute and the fuzzy, and sharks don’t get the kind of conservation attention or empathy enjoyed by pandas or tigers. You can learn more about these graceful creatures at our Santa Monica Pier Aquarium, and someday maybe, begin to love them and protect them.